Pass protection comes first when evaluating left and right tackles in the draft, but tackles that specialize in run blocking can be quite valuable at the next level, especially if they also bring high-floor pass protection to the table. Here’s a list of the top-five offensive tackles entering the 2019 NFL Draft ranked by their 2018 run-blocking grade. 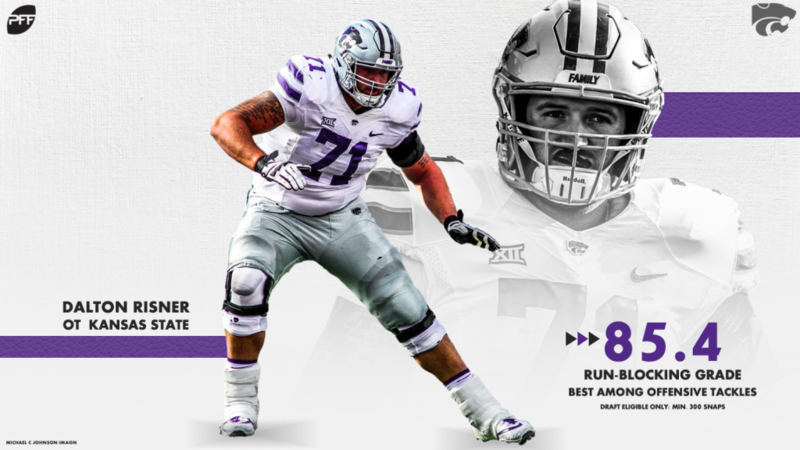 Kansas State’s Dalton Risner paved the way for Alex Barnes & Co. at an unparalleled level in 2018, earning the top run-blocking grade (85.4) among qualifying tackles in this year’s class. He also earned the fifth-highest positive run-block percentage (14.74%) and the seventh-lowest negative run-block percentage (5.44%) among all FBS tackles with 200 or more run-blocking snaps. 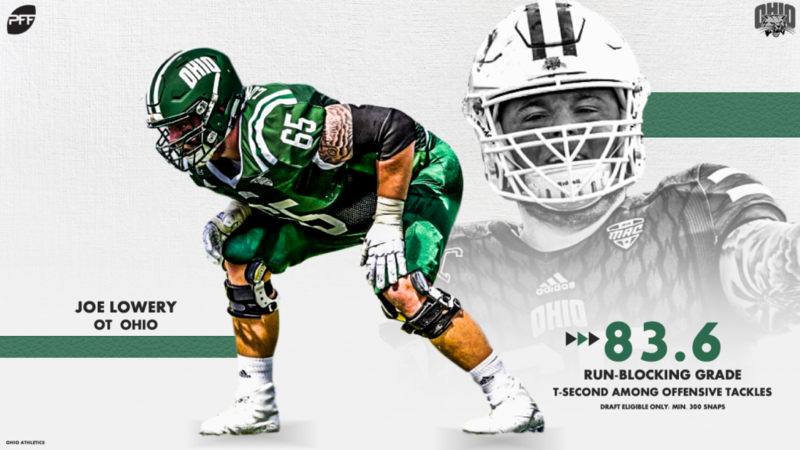 Joe Lowery, a 6-foot-7, 305-pound menace in the run game, tied for second behind Risner in run-blocking grade at 83.6 in 2018. His 13.11% positively-graded run-block percentage ranked 11th among qualifying FBS tackles, as well. 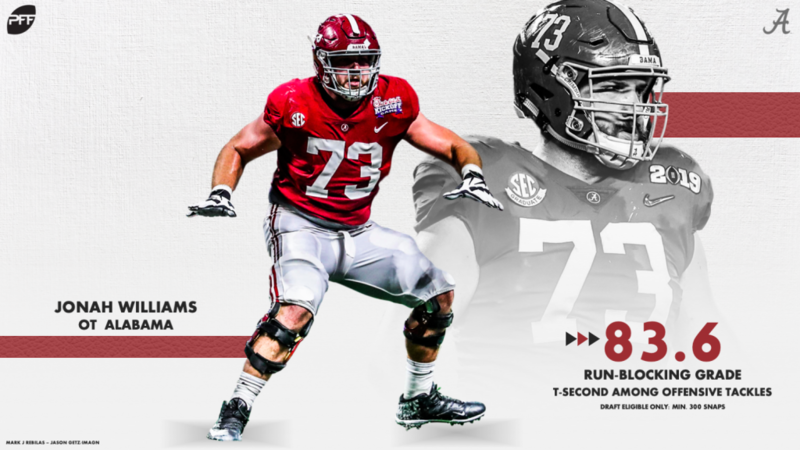 Alabama offensive tackle Jonah Williams also earned an 83.6 run-blocking grade in 2018 while ranking seventh in positive run-block percentage (13.85%). 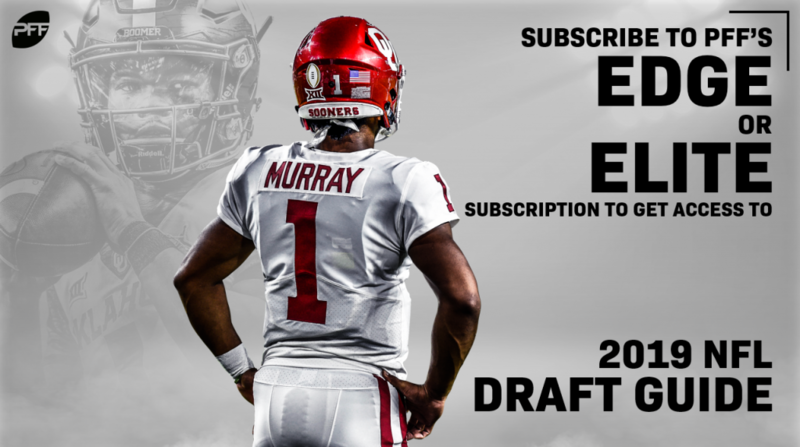 His arm length has some pushing the Crimson Tide stalwart inside to guard, but his play at tackle may just be too good to let measurables get in the way of what very well could be a high-performing offensive tackle in the NFL. 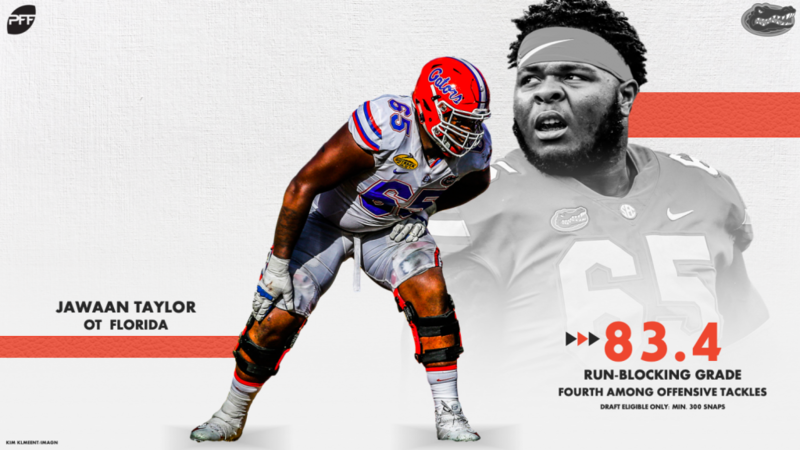 Coveted for his physicality and toughness, Jawaan Taylor buries his opposition in the run game more often than not, as he ranked third in the FBS in positively-graded run-block percentage (15.91%) and fourth in run-blocking grade (83.4) in 2018. 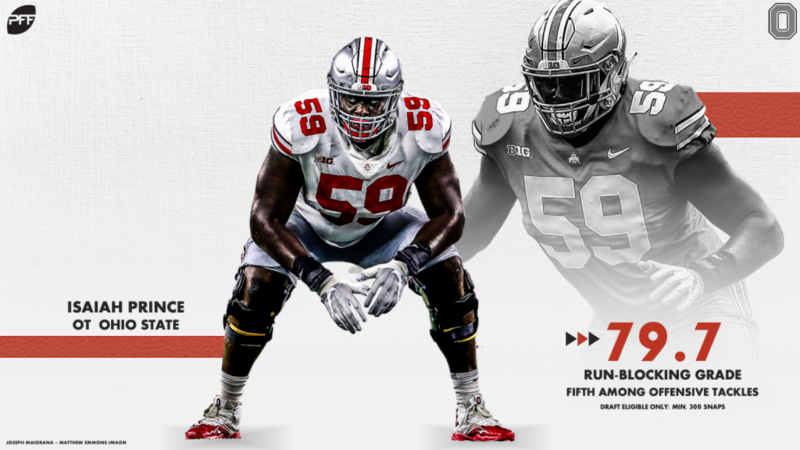 Ohio State tackle Isaiah Prince didn’t have the best of years in pass protection playing right tackle for the Buckeyes in 2018, but his run blocking was among the class’ best. He ranked fifth in run-blocking grade (79.7), picking up 63 positive marks across his 476 run-blocking snaps (13.24%) in the process.